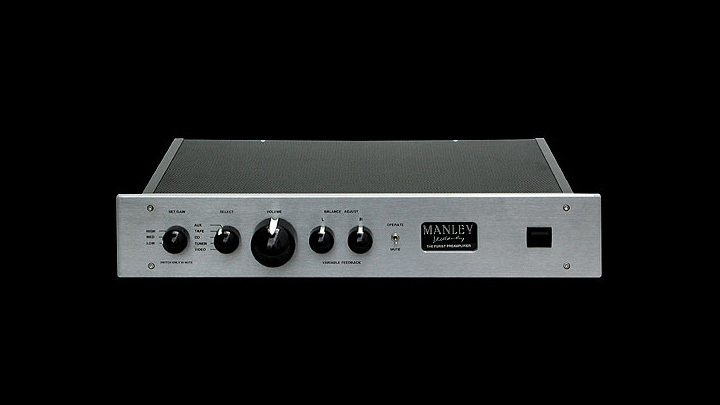 Purist Preamplifier — Manley Laboratories, Inc.
Our entry level model, the (line-only) Manley Purist Preamplifier sets the pace with many of the features common to all our preamplifiers. This preamp is extra flexible in the gain control section. The "Volume" control attenuates the incoming signal level while the "GAIN" switch sets overall gain of the input stage by switching the first cathode resistor. But our favourite knobs are definitely the individual "Balance" controls which adjust the negative feedback. For more information about variable feedback, read "Notes on Negative Feedback". Factory set for 100V, 120V or 220-240VAC operation for original destination country's mains voltage. Power transformer must be replaced in order to change mains operating voltage. 120VAC units may NOT be rewired to put the primaries of the power transformer in series for 220-240V operation or a large radiated field of hum will develop. If changing locations/voltages, the power transformer must be replaced with one dedicated to the voltage at which it will operate. Dimensions: W=19", D=11", H=3 1/2"